Cultural Affairs and Special Events heavyweights express anxiety at first meeting. 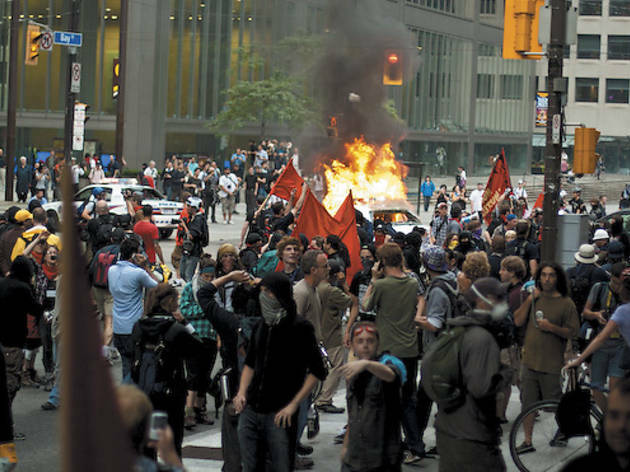 Photograph: Nile Livesey During last year's G-20 summit in Toronto, some of the 20,000 protesters burned police cars. The heavy hitters sat in the round on the fifth floor of the Cultural Center the evening of December 7. The first meeting of the city’s Cultural Advisory Council, a sort of Justice League for the newly merged Department of Cultural Affairs and Special Events, was brought to order. Mayor Rahm Emanuel popped in briefly, but around two dozen movers and shakers stayed for the 90-minute confab. Among them: MacArthur “genius” starchitect Jeanne Gang; übernetworker Mike Reed, the jazz drummer who helps plan the Pitchfork and Umbrella music fests; acclaimed poet Kevin Coval, cofounder of the teen poetry fest Louder than a Bomb; and council chair Nora Daley Conroy, the highly connected daughter of former mayor Richard M. Daley. Everyone at the table knew what Boone was getting at: the concurrent G-8 and NATO summits at McCormick Place. The Group of Eight major industrialized democracies forum, hosted by President Obama, will take place May 19 and 20; the North Atlantic Treaty Organization meeting, the first held in the U.S. outside of Washington, D.C., will happen May 20 and 21. It’s the first time since 1977 that a city has played host to both world-leader gatherings. 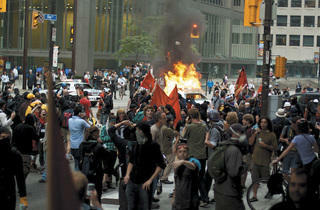 They’re expected to draw some 2,000 journalists and an untold number of protesters energized by the Occupy movement. “They anticipate up to 100,000 protesters,” Boone told the council. “It might be a bit of a nightmare.” Demonstrators are seeking permits for a May 19 march bookended by rallies at Daley Plaza and McCormick Place, says Joe Iosbaker, a United National Antiwar Coalition activist involved in the effort. Emanuel recently introduced legislation intended to control the crowds. The ordinance would increase fines for resisting arrest and allow the mayor to contract public and private security entities without City Council approval. Diana Martinez, president of Second City Int’l, drew a comparison at the meeting to her company’s theater outpost in Toronto, the host city of last year’s G-20 (Group of Twenty Finance Ministers and Central Bank Governors). “I was like, ‘We’re going to be the only ones open.’ And we were—nobody was there.” Would-be comedy show attendees were perhaps put off by images of police cars set alight by some of the 20,000 protesters. The G-8/NATO summits have also caused the School of the Art Institute to reschedule its commencement, Columbia College to move up the end of the year two weeks and the National Restaurant Association to change the date of its annual convention, originally scheduled for the weekend of the summits at McCormick Place.